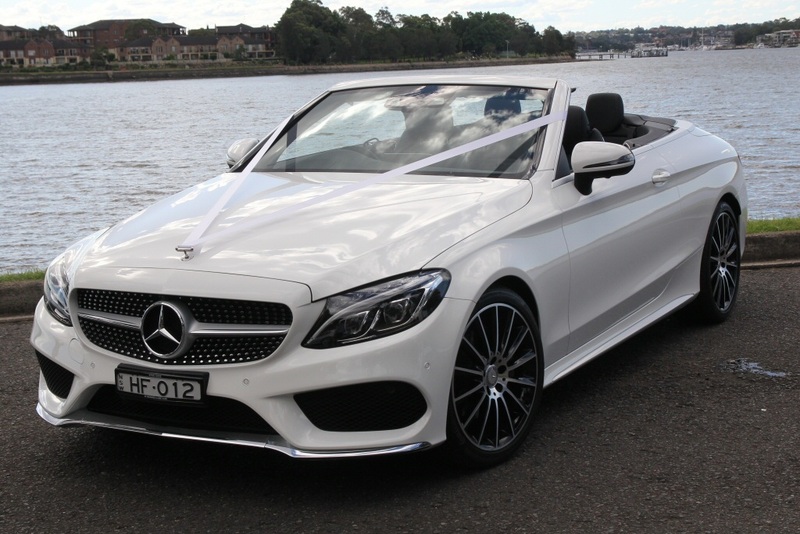 At HF Wedding & Hire Cars, we offer the luxurious Mercedes C Class Convertible with AMG UPGRADE seating 3 passengers – 2017 model. Enjoy the latest technology Mercedes Benz has to offer with an electric wind shield protector that pops up on top of the front windscreen to protect that ever important hair do for your special day. Have the opportunity to take some great wedding photos with the roof off your vehicle, the memories will last a lifetime, the black interiors will make your dress standout in all your photos.